The Secretary General of the League of Arab States, Ahmed Aboul Gheit, said that despite the considerable efforts made in recent years to improve the economic situation, particularly in the infrastructure, transport and communications sectors, the Arab region is still far away from launching its potential and achieving its aspirations. Aboul Gheit said in his speech before the opening session of the Arab economic and social summit in the Lebanese capital Beirut today that is still more than half of world exports of Arab oil products, emphasizing that there is a greater need to work for diversify economies to protect them from the fluctuations associated with energy prices. "There is also the need to improve the business environment, improve competitiveness and stimulate entrepreneurship and entrepreneurship"He said. "However, with some exceptions, the region still lacks sufficient volume of economic activity with high productivity and high added value and is also unprepared to engage in the digital economy, the economy of the future – based on the innovation and innovation.. He underlined that the "Beirut Summit" takes place after an absence of six years, during which we have been occupied by major events, during which some of our countries have faced – and still are – the various types of challenges to security, political unrest and humanitarian crises, which represent an extension and a reflection of the most serious challenge. Connected to achieving global development and responding to crises and social problems that often accompany the process of growth and modernization"He said. The Arab League general secretary Ahmed Aboul Gheit said: "The facts witnessed by the Arab world in its contemporary history have shown that development, security and stability are all loopholes in one interconnected system … without a continuous development without an umbrella stability and security, immune to adverse returns and jokes, without a break … and no real stability and sustainability without global growth touches all aspects of human life … and meet and improve quality. Abul-Gheit said in his speech before the opening session of the Arab economic and social summit in the Lebanese capital Beirut today, "The right to development has become known, although not in any way easy or accessible. of economic growth of at least 6 or 7% over a long period of time, that these rates are still insufficient to reach the boom The desired priority, as well as continuation and continuity, remains subject to the stability of the situation politics and security, which is what some of our countries and societies are still paying the price for their absence during the past years"He said. He said that the main gap that separates us from developments in the world economy is mainly linked to human capital: knowledge and innovation, not production or services, have become the largest generator of high value. added under the acceleration of the phenomenon called the fourth industrial revolution with its various applications. "Preparing to face the consequences of this technological revolution should be our highest priority in the next phase: more effort will be needed to narrow the digital divide with other regions of the world: more than half of the Arab world population is not connected to the Internet. youngest in the world: if we do not exploit this "demographic window", this youth block will turn into a burden for economies and even a motor of unrest and probably a fertile ground for various forms of religious and political extremism"He said. He added: "The desired growth is human and human, and can not be achieved except by investing in education and health .. Food and clothing .. Culture and awareness .. The key here is the education, which is the factor Main in the construction and accumulation of human capital. The Arab world needs a real pause With the lowest levels of education and deterioration, the most serious is the growing gap between education and the labor market and the weak relationship between Education and needs for global growth"He said. "If we talk about education and results, we should not lose sight of the central role of the educational system and the media in combating extremist ideology and building a true social conscience that wastes extremism and extremism in all its forms and forms. " We follow your efforts, Majesty, Excellencies and Elevations, The misguided loser with all the courage and spirit of historical responsibility to defend the future of this nation, which will be built only on true consciousness, and a culture of acceptance of diversity and diversity , and a mind to dialogue with the other, to take and to give, to accept and to reject. Without dialogue, it leads to violence"He said. 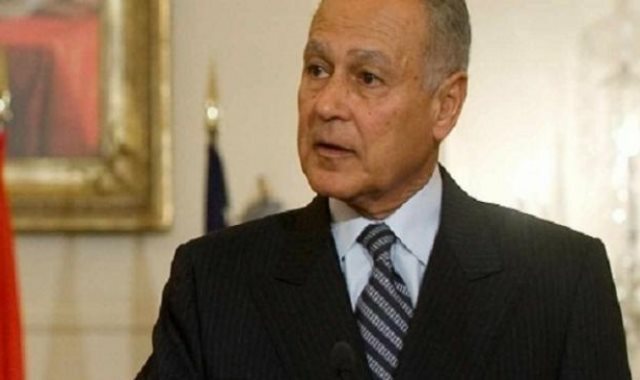 The Arab League general secretary Ahmed Aboul Gheit said: "The right to accelerate the recovery of the greatest number of people from the abyss of extreme poverty is the best way to dry up sources of extremism and terrorism. Approximately 20% of the population of the Arab world lives under conditions of intervention under the name of multidimensional poverty, It is measured not only by income indicators, but by educational opportunities, by the availability of health care and by living conditions, and is It is true that the Arab countries have achieved remarkable successes in reducing extreme poverty.This year the Secretariat, in cooperation with the UN, publishes a complete and verifiable report on the "Arab strategic framework for the elimination of multidimensional poverty" "which includes a series of recommendations and ideas worthy of consideration and consideration. "He said. Abul-Gheit said in his speech before the opening session of the Arab economic and social summit in the Lebanese capital of Beirut today on the social question, saying: "In addition to the urgency of the social question, some of our countries have fallen into crisis that caused waves of asylum and displacement., Unfortunately, about half of the refugees and displaced people in the world .. Just know that about 4 million Syrian children have left their schools because of the war there for seven years"He said. "Just follow the serious humanitarian crises in Somalia and Yemen, without losing sight of the tragic reality that our people suffer in Palestine because of Israeli occupation imposed by closure, siege and unfair practices, and it is enough to know all this to realize that the battle of development in Many aspects of our Arab world are not conducted in natural conditions or in a favorable environment, but in difficult conditions and in fragile environments"He said. "The hope here is to show more solidarity and solidarity to support and sustain the communities sustained by these humanitarian crises, including Lebanon and Jordan, which have brought many things to fulfill the Arab religion and to fulfill the duty of humanity, "said Aboul Gheit. "He said. "Challenges for sustainable development require that Arab governments put the future into their own account," he said, "we have to tackle difficult questions without slowing down or postponing … questions about providing food to over 360 million Arabs. … on the conservation of scarce Arab water resources, Over 1% of the world's freshwater resources, how to develop them and guarantee their sustainability Questions on managing the energy mix relying more on renewable sources Questions on the complete Arab plans for tackle the world's confusing phenomena such as climate change and technological development that threaten traditional jobs"He said. "There is a bright spot that deserves to be emphasized: the negotiation of the Great Arab Free Trade Area is about to reach its goal: about 95% of the detailed rules of origin have been completed and it is hoped that this economic system will complementary will be completed, Services, as soon as possible It is not acceptable that trade between our countries remain at their current rates, which do not exceed 12% of the total trade of Arab countries. "He said. "It is not acceptable that the Arab region remains the least global in terms of economic integration, with all the potential offered by this integration to promote Arab economies and contribute to the diversification of its activities. The agenda for this summit include a number of initiatives, projects and programs related to economic integration, We look forward to these initiatives being implemented to bring us closer to the path of Arab economic integration"He said. Abul-Gheit concluded by saying that "our people throughout the Arab world seek stability, far from the evils of turbulence and a complete rebirth that brings them to the age with its subsequent developments, shareholders who are not spectators … that interact and do not receive … they do not see the time to see their children live A better life than the one they lived in. It is healthier, more educated and more authoritative … and we are confident that our country is able to recover. "He said.